Fine in fine packaging. Originally released: 1987. Played once to upload. Antonio Vivaldi. Very Good. In very good packaging. 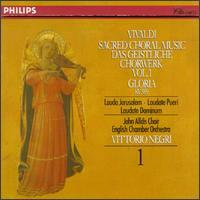 John Alldis Choir-Vivaldi: Sacred Choral Music by John Alldis Choir.